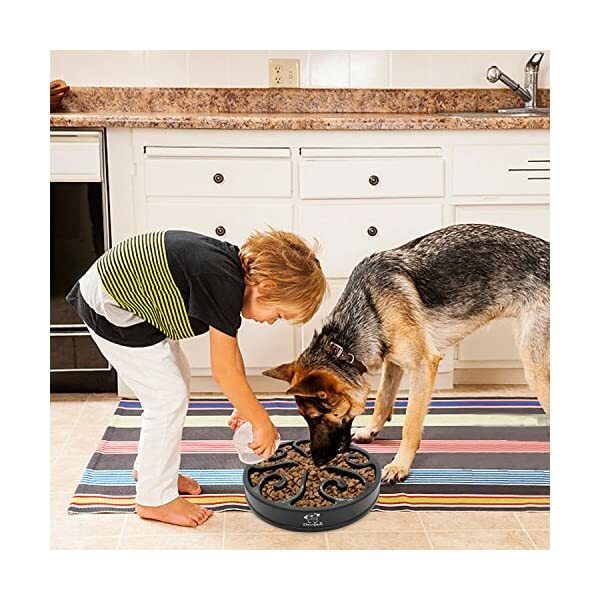 11.8″ Large DOG SLOW BOWL, made by Non Toxic, Eco Friendly, Bpa Free high quality material, the non-kid design at the bottom, stop the food bowl moving around, you will not see the mat or your room in a mess. 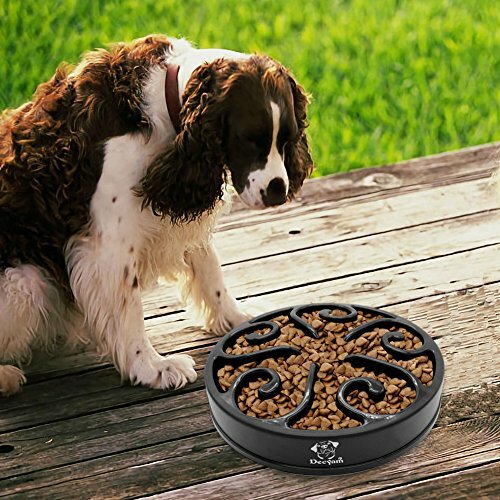 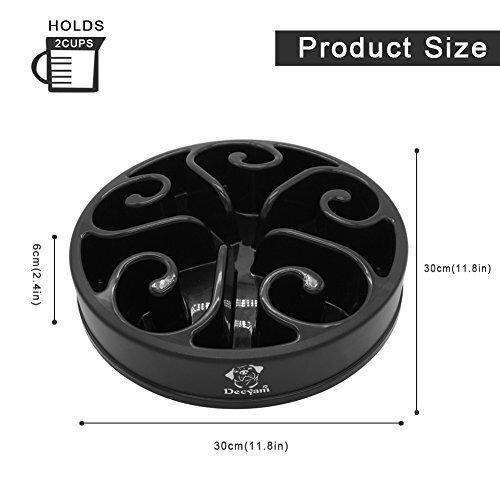 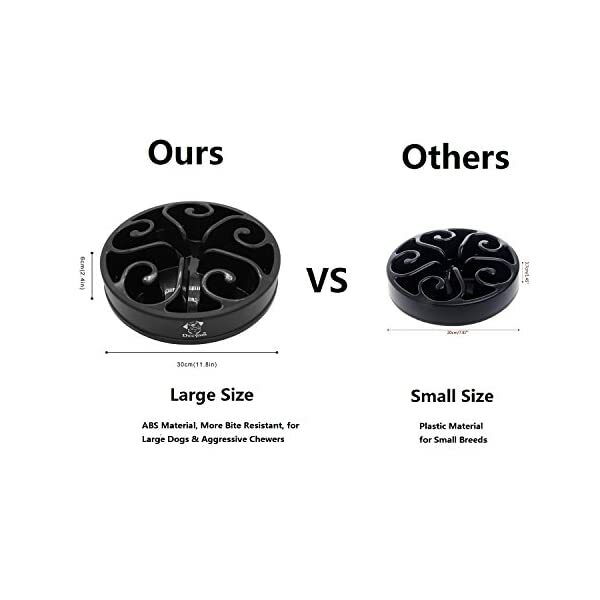 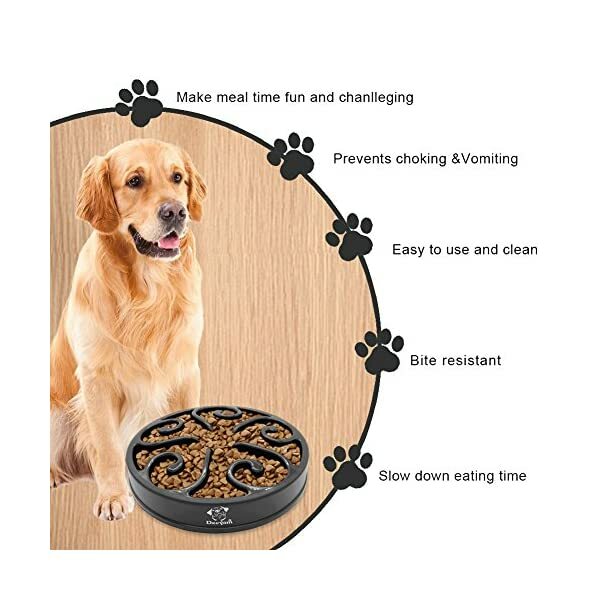 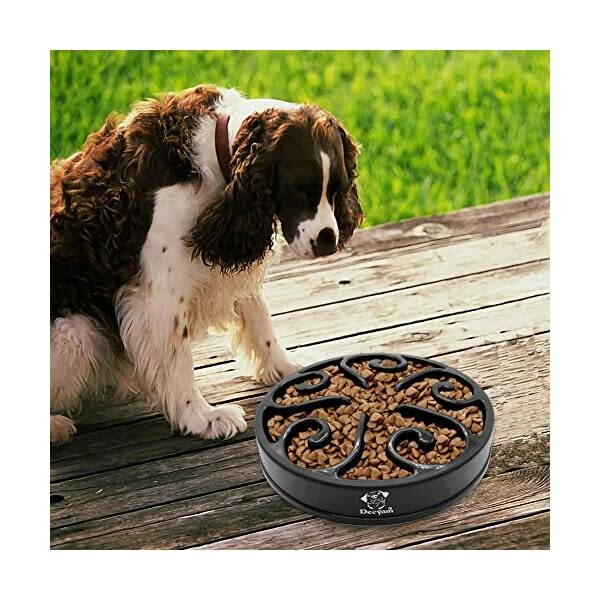 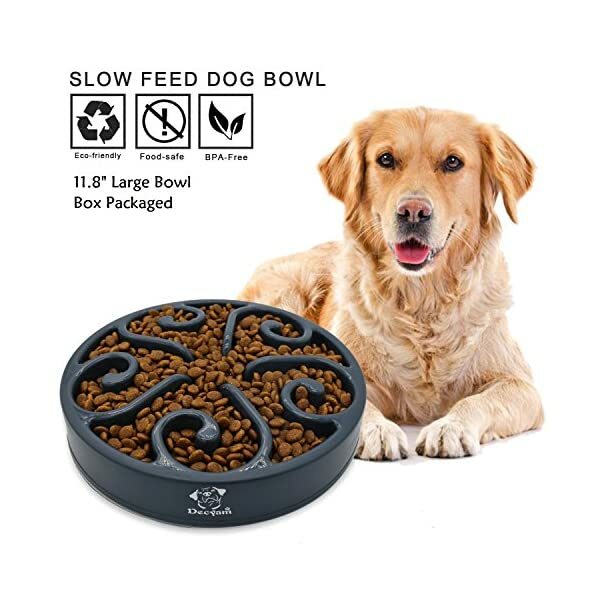 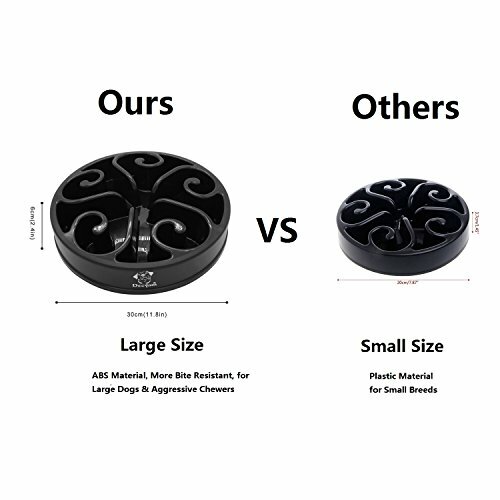 The MAZE design of the slow dog feeder bowl effectively Slow Your Dogs Eating Time, promotes healthy slow eating, helping prevent, obesity, bloat, regurgitation and overeating, a GREAT DIET BOWL. 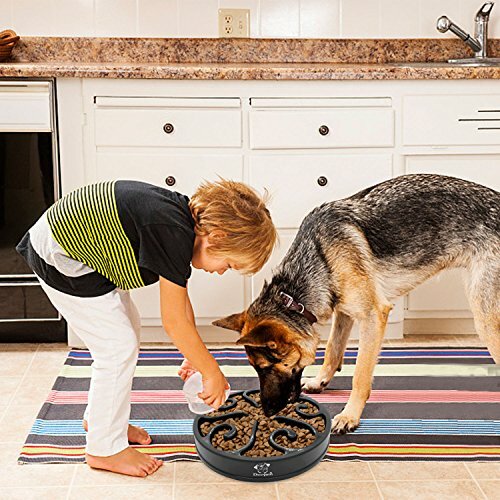 Promoting fun and healthy eating. 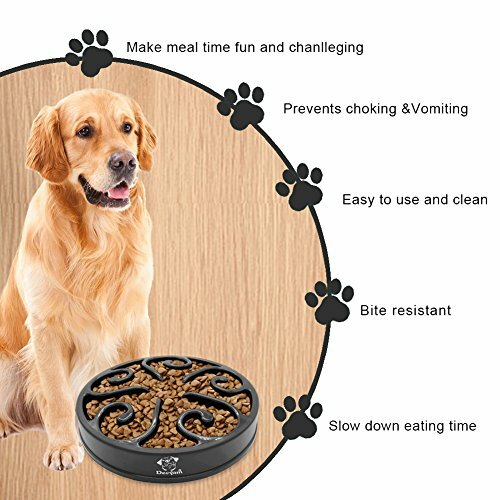 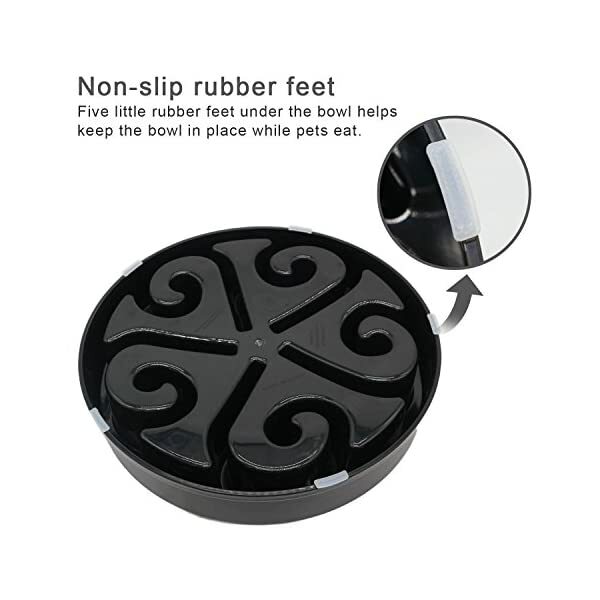 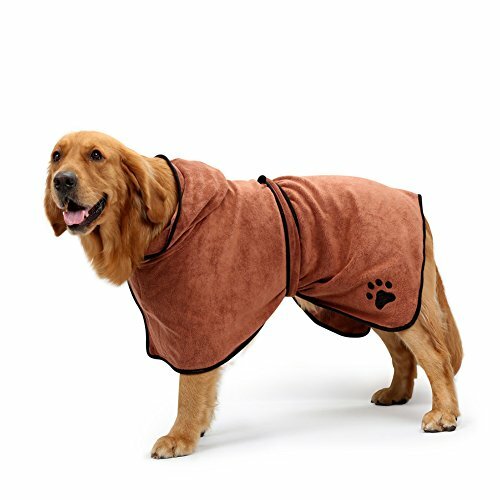 Well made and well designed,give your pet friend a good challenge while eating instead of inhaling the food in a few minutes which can help control weight effectively . 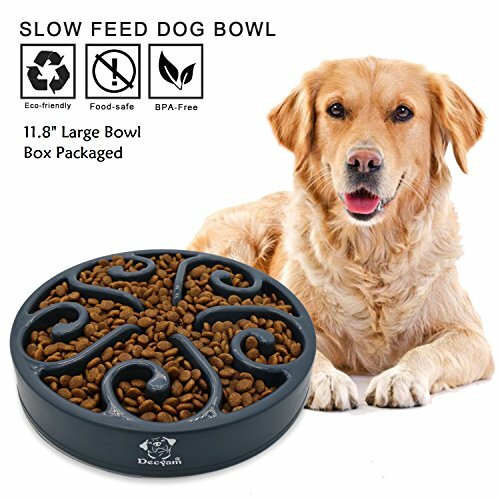 This pet slow bowl is strong and durable, top rack dishwasher safe, and really great for all kinds of dogs, slow or fast eaters. 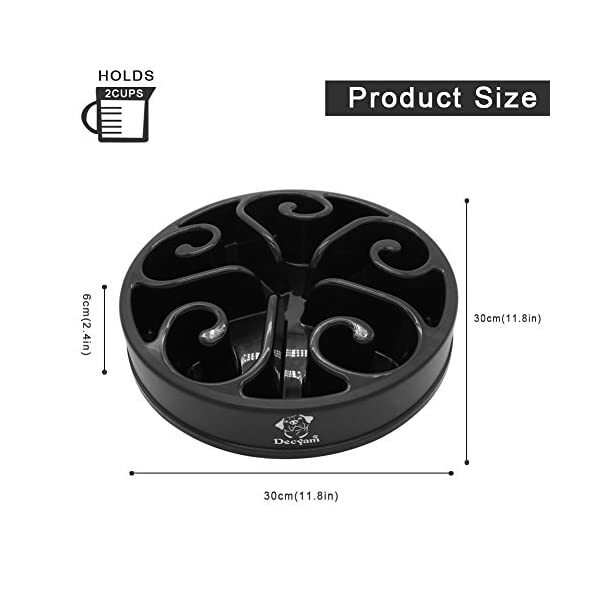 We put product quality and customer service at first place, any inquiry or suggestion, just feel free to contact with seller directly. 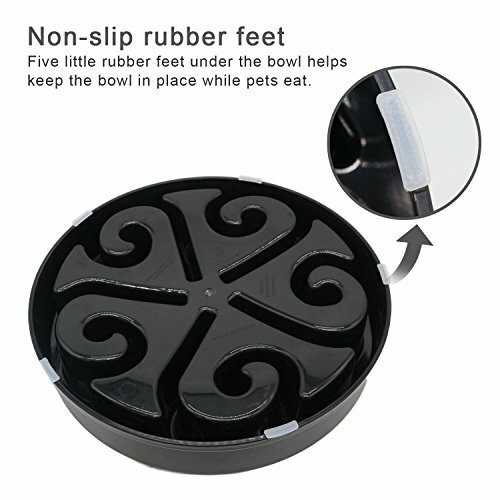 This ANTI CHOKING SLOW BOWL is great for both dry and wet food, Easy to Use and Clean, dish washer safe.